Dr. Carl E. Harris joined the College of Education Board in 2013. He holds a doctorate in education administration from NC State, a master’s degree in education, an education specialist degree in administration and supervision, and a bachelor’s degree in health and physical education. Carl has held numerous educational leadership positions, including serving as superintendent of Durham Public Schools, where he focused on advancing academic achievement, fostering relationships with parents, businesses and the community, and improving school leadership. In 2010, he was appointed deputy assistant secretary for policy and state technical assistance of the Office of Elementary and Secondary Education at the United States Department of Education. Harris has received numerous awards and distinctions for his contributions to education. In 2008, he received the University Council for Educational Administration Educational Leadership Award, becoming one of 33 educators recognized nationally and the only educator in the state of North Carolina to receive the honor. He also received the Order of the Long Leaf Pine Award (2010), the most prestigious award presented by the governor of North Carolina. 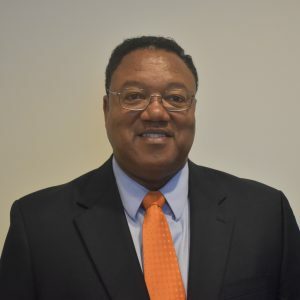 In addition to his roles as classroom teacher, coach,and district office administrator, Harris has served on the leadership teams of various professional organizations and is a past president of the North Carolina Association of School Administrators.